The fan is made of high quality imported materials, high strength and high toughness, anti oxidation and corrosion resistance. Scientific and reasonable fan shape design, to maximize the air volume and reduce the air flow and noise. It uses high quality hydraulic bearing, to extend the service life, mute effect is also more excellent. 1. Q: What is the minimum order? for testing our product. we would be very glad to make the MOQ as 1 pcs for you. 2. Q: What payment methods your company accept? A: We accept most of the payment methods, but mainly adopt T/T, Paypal. 3. Q: How long is the warranty time for your products? A: Our officially promised warranty time is one whole year after delivery. 4. Q: Do you give any discount? I`m willing to apply with my boss for a more favourable price for you. 5. Q: I would like to ask you if it`s possible to have my logo on the product? A: We hope you know that our company perfectly support customized logo service. But we also hope you know that it`s an extra service, so a little bit extra service fee is required. 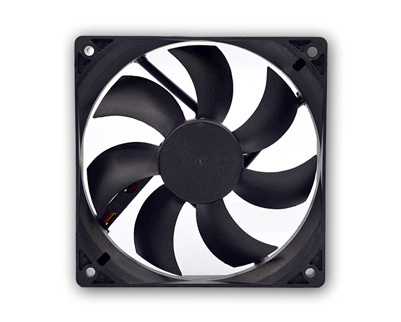 Looking for ideal Liquid Cooling Fan Manufacturer & supplier ? We have a wide selection at great prices to help you get creative. All the Ultra Quiet Fan are quality guaranteed. We are China Origin Factory of Mini Cooling Fan. If you have any question, please feel free to contact us.